This morning, a fairly recent New York Times article on the topic of “do it yourself” Wills popped up on my computer. This is a subject near and dear to my heart (for a variety of reasons), so I decided to spend some time reading and considering the content of the online article. What follows are some observations from that read, along with a referral to a different, and in my view, better, article from the American Bar Association on the same subject. 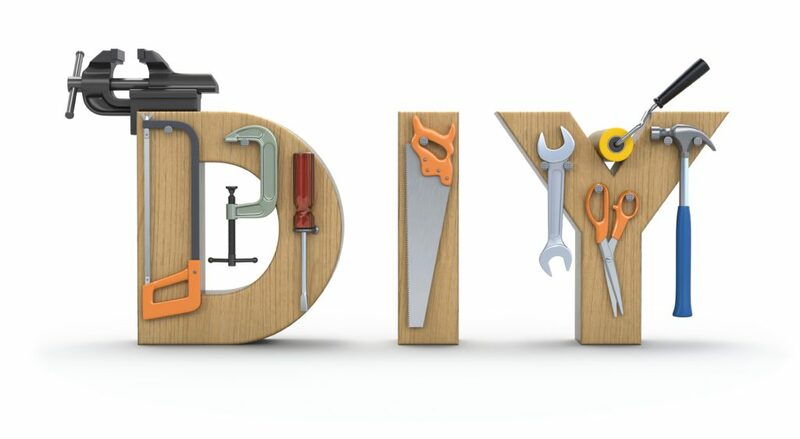 The phrase “Do it Yourself” evokes images of a weekend trip to the Home Depot, a bruised thumb, and the feeling of satisfaction that comes from a freshly painted room, a repaired deck or a newly-constructed patio planter. But even the experts at do-it-yourself publications such as This Old House frequently remind us not to delve into projects in the domain of experts such as plumbers, electricians, excavators and the like. The consequences there — a broken gas main or electrical shocks — could have disastrous results. The title of the New York Times article referred to herein is “Making Wills Easier and Cheaper With Do-It-Yourself Options“. So far so good, right? I mean, who isn’t interested in making something that is potentially complex and expensive into something that is “easier and cheaper”? And we should pause to compliment the folks at the New York Times for their clever use of headlines to draw attention and serve as click-bait. They are good at what they do, no doubt. But when we read past the headlines and consider the content of the article, there are at least a few potential problems and inaccuracies contained therein. Again, this gives the impression that by having a Will in place, Ms. Franklin’s estate could have avoided probate. But it actually perpetuates the very common perception, but very mistaken idea, that a Will avoids probate. This is not true. A Will is made for probate and if a person dies with assets which are to be passed through the instrumentality of their Will, such passing of assets and administration of the decedent’s estate is done through probate (not in the absence of probate). In many respects, a Will is simply a letter to the probate judge to the effect of, “Judge, if you’re reading this, I’m dead and I would, therefore, request that you authorize and supervise the following for the management and distribution of my assets.” By the way, not having a Will is also not an effective way to avoid probate, as dying intestate (i.e., the term referring to a person not having a Will) much of the time will lead to the necessity of probate. There are wise and valid ways to avoid probate, including through the proper use of trusts, beneficiary designations and other mechanisms, but using a Will or dying intestate are NOT effective probate avoidance methods. My other main objection to the New York Times article is that it uses very extreme and unrealistic examples to suggestion polar opposite options for people doing their estate planning. There seems to be a suggestion that the main choice for most people considering their estate planning is either: (a) paying an attorney $1,200 an hour to prepare thousands of pages of estate planning documents, resulting in a total bill of tens of thousands of dollars; or (b) paying about $50 to use one of the “do-it-yourself” online document preparation programs, which (according to the them of the New York Times article) should be sufficient for most people. Those unrealistic and extreme examples paint false images for a variety of reasons, including the fact that usually, only Fortune 50 companies pay their attorneys anything near $1,200 per hour (for complex corporate matters) and very few of the AmLaw 100 firms, which charge such high hourly rates, do estate planning anymore. Further, I would venture that about 90% of every estate planning attorney in America prepares estate plans on a regular basis for a total fee somewhere in the neighborhood of $2,000 to $5,000 (some less, some more, but that’s a ballpark average). Will Your DIY Plan Work When You are Gone? A Will must meet requirements for probate, properly make dispositions of the estate, address the payment of debts, taxes and other obligations, appoint fiduciaries to administer the estate and potentially guardians for minor children, and achieve all of that without creating litigation or hostility among the beneficiaries. A person who drafts his own Will must bear in mind that the critical test of his efforts will occur after his death. At that point, his voice has been forever silenced. If he does prepares his Will on his own, it’s likely no one — or at least no person who is not seen as biased due to his financial interest in the outcome — will be able to explain his intentions. The quote above relates to perhaps the most important consideration that must be factored into the equation when people are looking at using “do it yourself” estate planning options. Its one thing to save a few bucks on the front end, when the skies are blue and the sun is shining and the day when the estate plan will be needed and used is far away–some unknown day far into the future. This is somewhat akin to buying a “budget” version fire extinguisher for your new house (i.e., no thought care about how well the extinguisher works or doesn’t work, this is a new house and there is no fire). But when the time comes that the estate plan is “put to the test” via probate or, hopefully, by avoiding probate through the proper use of other/better tools, THAT is the time when a person or a family gets their “money’s worth” out of the estate plan investment (or not). Just as the purchaser of a premium fire extinguisher is happy and grateful for money well-spent if and when the fire extinguisher is needed to put out a fire to save a house, so also the person or family who is the beneficiary of a wise other family member who invested wisely in his/her estate plan is grateful down the road that things were done correctly, even if doing the job right took more money and effort on the front end. A $50 Will most often requires probate (just as with a $500 Will, the cost is not the determination of probate). In such instances, the costs of probate (filing fees, legal fees, accounting fees and other professional costs and expenses) will almost always be greater and usually significantly higher than what it would have cost to spend a little more money on the front end and avoid probate altogether. It is worth saying again and again because it is such a common misconception, a Will does NOT avoid probate!! So anyone (or any online article) who tries to convince you that a do-it-yourself Will for a few bucks (or free) is a wise way to save money by avoiding probate in the future is not telling you the truth. Ok, enough of the soapbox preaching for one blog post. I would encourage anyone who wants a more objective analysis than the New York Times article (or even this blog post) to read the ABA article titled Do It Yourself Estate Planning, which can be found at https://www.americanbar.org/groups/real_property_trust_estate/resources/estate_planning/diy_estate_planning/. Admittedly, the ABA is an organization supported by attorneys, and consequently, there is still a level of bias on the part of the ABA in favor of using an attorney for estate planning legal services vs. online do-it-yourself options. But please recognize also that the likes of LegalZoom, Avvo, and Rocketlawyer, which sell such online forms, tell you that their products will work for you because they are trying to sell you their products. Even those websites which give away legal forms for free are peddling something (if only your personal information). The ABA is not selling you anything, so read the article and consider the information therein.